You made it, you finally picked the color you like for your room, and we know it is not easy with literally thousands of colors to chose. Now there is another decision to make, what finish should we use? The finish of the paint is not related just to the color if not to the gleam than a paint conveys. Manufacturers may choose different descriptive names, like eggshell or matte to denominate their products. Most of the standard samples you can buy in small bottles in big stores are going to have a satin finish, careful! If you are not aware of the options, you may end painting your house in a finish you didn’t know. The most shine has a color the most will change the color perception. Each finish has also a different washability level, so not all of them are suitable for all the areas. Try different finishes options before taking a final decision and test them in different parts of the room, look for the darkest spot, and also for the lighter and average spot. The colors change a lot depending on the light they receive. This list will help you to take the best decision. Our favorite finish because it allows seeing the paint sample without a sheen. It is a safe choice in any room without water. It also helps you to hide imperfections in the wall. Use it always in ceilings, low traffic areas like bedrooms and any wall with irregular finishes. It provides some reflection that helps accentuate any texture. It is stronger than the flat paint, and because of this, it’s a popular choice for kids rooms or any wall that may need some scrubbing on time to time. 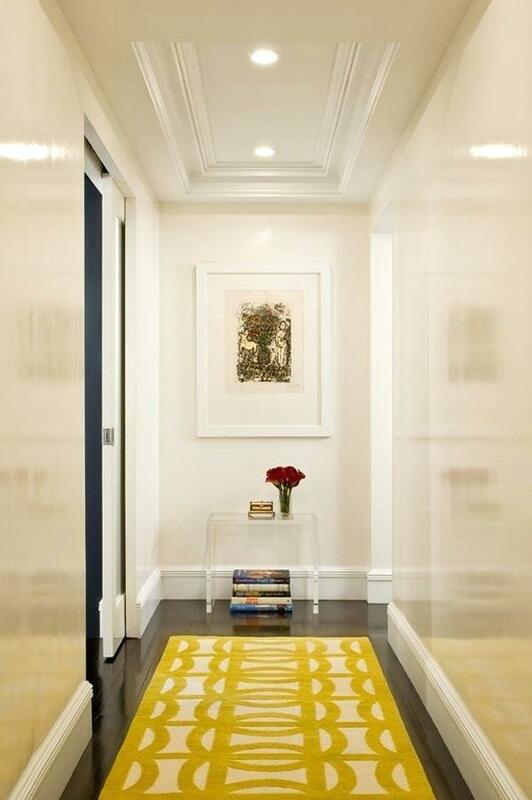 Satin paint is a safe choice for high-traffic areas, hallways, kids rooms, and doors and trims. More durable than the satin paint, higher luster than the previous options. The finish won’t wear down if you need to clean it very often. It is very popular in kitchens and bathrooms walls and also cabinets. Be careful because it will make more visible any imperfection. The shine reflects the light helping to light dark rooms. Semigloss finish works on bathrooms, kitchens, pantries and powder rooms with low natural light. As his name says, the high gloss paint is the shiniest and most reflective finish. Any piece of furniture or wall painted high-gloss will stand up in the room. Be sure of using it only in very smooth surfaces, because it will accentuate any ding or dent.